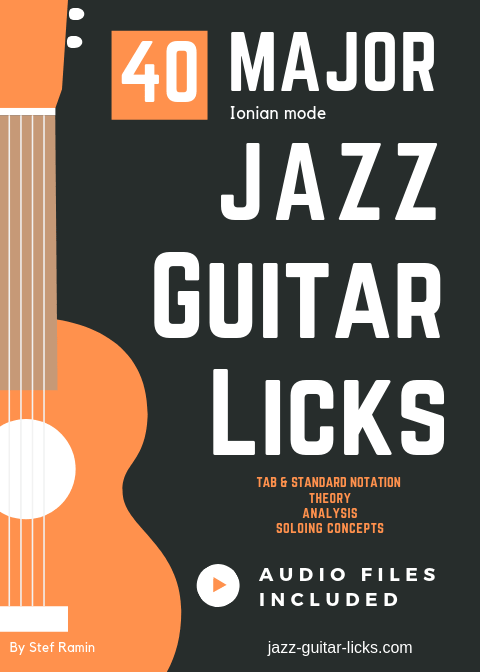 This printable PDF eBook provides 40 jazz guitar licks with tab, standard notation, audio files, theory and analysis. All these lines are built from the major scale aka Ionian mode. 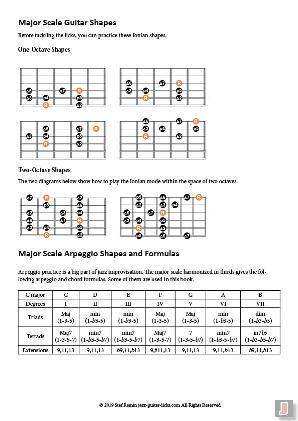 They can be played over major chords as maj, maj6, maj7, maj9, maj11, maj13, 6/9. These licks are useful devices to build improvised jazz guitar lines and solos. 1 Printable PDF file (High resolution). 40 Mp3 audio files (High quality).